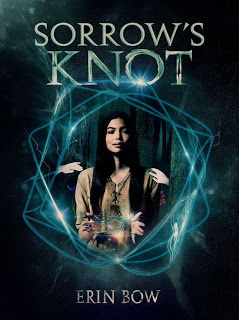 Sorrow’s Knot by Erin Bow. Arthur A. Levine Books, 2013. Currently Available. Face Value: This cover screams fantasy, and this book is a fantasy, so that’s accurate. But it also vaguely reminds me of Blue Moon, the store in the mall in my hometown that sold patchouli and dreamcatchers and broomstick skirts. If this cover were a print and it were 1999, it would probably have been sold in that store. Does it Break the Slate? Yes, it does, and it’s awesome. This is a deeply feminist book, as well as a profoundly thoughtful one. The matriarchal world that Bow has created in this novel is not only beautifully drawn, it sets up a society that is actually female driven, and raises some really interesting points along the way. And all of the characters and their journeys – male and female – are written in dynamic, interesting, Slatebreaking ways. Who would we give it to? This is deeper fantasy than Bow’s earlier novel, Plain Kate (which I really enjoyed) but it’s also a richer, more complex novel. And if you know fantasy lovers who can get frustrated with some of the antifeminism within that genre, this is a great book for you. Review: Otter’s mother Willow is a Binder – the woman whose job it is to tie the knots that bind the dead and keep them from coming back, as Slips (harmless but annoying), Gasts (can cause physical harm, or even death to the living) or White Hands (worst of all, will make a living person insane if they touch you). Otter has always believed that she will grow up to be a binder as well, that she will be trained as her mother’s apprentice and learn to protect her community through the knots. But then something starts to go wrong with the binding, wrong with the dead. Things that have always been rock solid in Otter’s world are falling apart. And it is up to Otter to fix it. First thing that has to be noted here is the extraordinary world building that Bow has in play in creating Westmost and its surrounding communities. The magical rules are incredibly complicated, and yet it’s not confusing to the reader to figure out what the rules are and what’s at stake. And Bow does a great job of balancing out necessary exposition to get the reader up to speed with well-paced plot development. It’s also worth noting that this is an incredibly feminist narrative, giving us a female driven world. Women hold the positions of power in Westmost, with the men born into the community frequently leaving when they reach puberty. It’s nice to read a book where a young woman taking on a position of power doesn’t feel like a crazy exception to the rule where she has to overcome gender-based expectations. It’s also really frightening. Bow isn’t afraid to kill off characters that we care about, and she isn’t afraid of addressing the deep emotions surrounding loss and fear. There’s a lot to be said about the spatial world building of Westmost, but Bow’s emotional world building is equally impressive. The mother-daughter and also teacher-student relationship between Willow and Otter is heartbreaking, especially as we can see how doomed it is to end unhappily from the start. This is a story about a mother and child. It is a ghost story and it is a fantasy about a matrilineal world. But it is also a story about friendship. Otter’s best friends are Kestrel and Cricket, and the love between the three of them and the depth of their willingness to protect each other is beautifully rendered. The depiction of friend-love and romantic love are both captured exquisitely throughout the narrative. This entry was posted in Reviews, Young Adult and tagged Fantasy, Feminism, Friendship, World Building. Bookmark the permalink.